The Pittsburgh Pawngrabbers secured a spot in the playoffs in last weekend’s Super Saturday, but showed they could still play for more with a narrow 8.5-7.5 win over the Webster Windmills. Both teams have clinched playoff spots with two matches to spare, but are still playing for preferred seeding and, for added glory points, Atlantic division winner! With last night’s big win, Pittsburgh is tied with Webster in matches and game points, and shares the division’s first place going into the last regular season match. 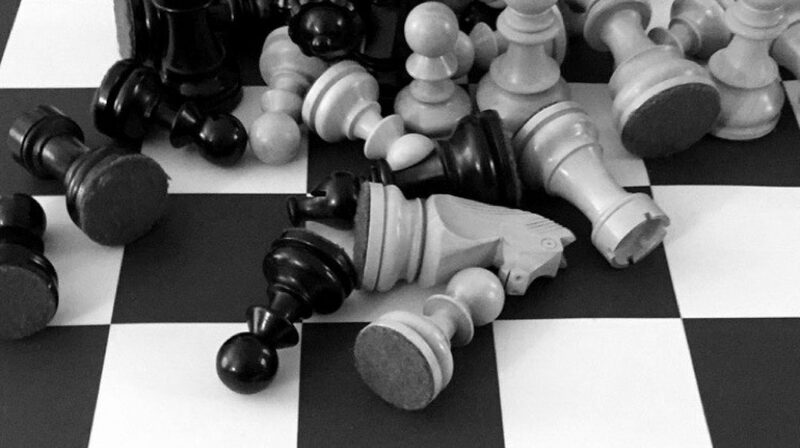 With a seemingly endless stream of present and future elite players to choose from, Webster has long been a thorn in everyone’s side, but especially that of Pittsburgh, who becomes the first PRO Chess League team to defeat Webster this season. 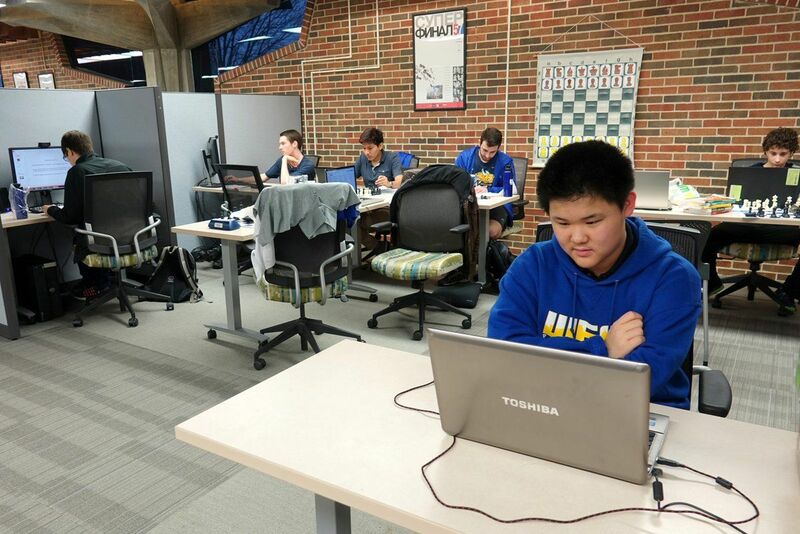 Webster University teams defeated the University Pittsburgh twice and Carnegie Mellon University once at the Pan-American Collegiate. More relevantly, they demolished last year’s Pawngrabbers 11-5. But in the PRO Chess League format and in the face of Pittsburgh’s improved roster, Webster was forced to dig deep into its up-and-coming talent, and decided on two (relatively) lower-rated players on its lower boards. Still, the Webster lineup still beat Pittsburgh’s by average rating, and Grabinsky (who played a pivotal role in the two teams’ match last year) and Colas have been top young players for quite a while. Pittsburgh, however, managed to keep a slight edge for most of the match. Both teams were tied at the halfway point after trading close Rounds 1&2, but Pittsburgh narrowly emerged ahead after Round 3, and held Round 4 for the final 8.5-7.5 score. 1. Wait – is that Awonder at Webster? Awonder is currently training at Webster – shoutout to them for giving Awonder their support, even though he is – at the moment – their rival. 2. Edward Song goes 3/4. FM Edward Song was the lowest rated on last night’s Pawngrabbers lineup, playing just his third match, but you wouldn’t know it from how he played last night. Edward outperformed everyone else on the team, in part due to some meticulous preparation. He had a much better position against none other than 2739-rated GM Le Quang Liem in his first game, but blundered at the last moment in a dead-drawn position. That didn’t stop him from winning the rest of his games, including against Webster’s #2, GM Tamas Banusz. Following close behind was IM Atulya Shetty on Board 3, who scored 2.5/4. Atulya has consistently outperformed his position this season, making him an integral part of the team’s success this season. He seemed to be dead in the water against FM Josh Colas, facing an inevitable mate on g7, but turned the tables around with a surprising 28…Qd1+!!. Next week, Pittsburgh and Webster will be playing Miami and Montreal – two tied teams facing possible relegation. While the Pawngrabbers and Windmills are clear favorites in their respective matches given their results this season, we can expect Miami and Montreal to try very hard to get as many points as possible. Be sure to tune in next Wednesday at 5:55 pm Eastern time at https://www.twitch.tv/napoleonbonaparteiv for our match against the Miami Champions!